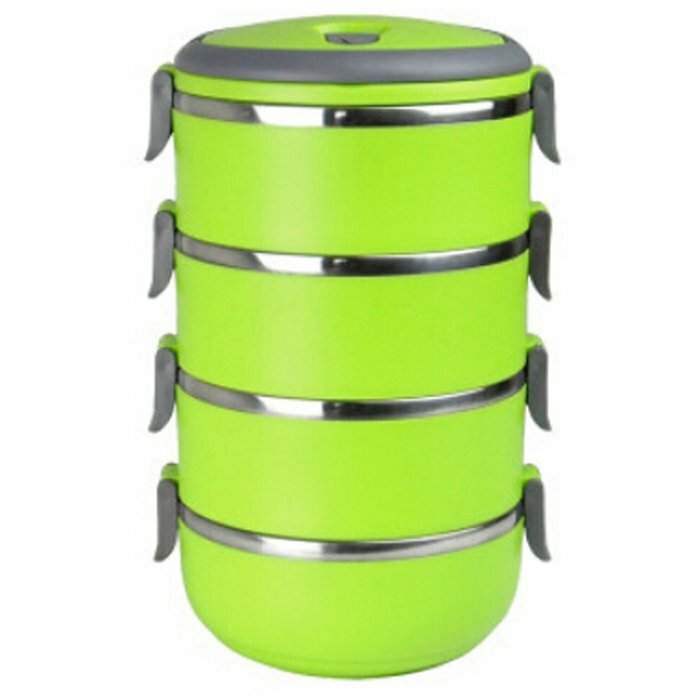 Taking your lunch somewhere and keeping it free and warm at the same time is no more difficult task now, Easy Lock Stainless Steel Lunch Box is now available to assist you at the best prices. It contains 4 containers which can carry large amount of dry and liquid meal. Its post are designed with stainless steels where are outer cover is made up of quality plastic. Order this beautiful lunch box with free delivery all over Pakistan. wow i think its really something different but i think that the three portions on is much better than this because its very over size and very less people would need four portions in a lunch box so please improve this thing otherwise it is a really amazing thing. You are looking now latest Easy Lock Stainless Steel Lunch Box 4 Layers (LB-04) price in pakistan market 2017 including in all major cities, Easy Lock Stainless Steel Lunch Box 4 Layers (LB-04) Price in Karachi, Easy Lock Stainless Steel Lunch Box 4 Layers (LB-04) price in Lahore, Islamabad, Faislabad, Pesahwer, Quetta, Multan, Rawalpindi and many more cities.